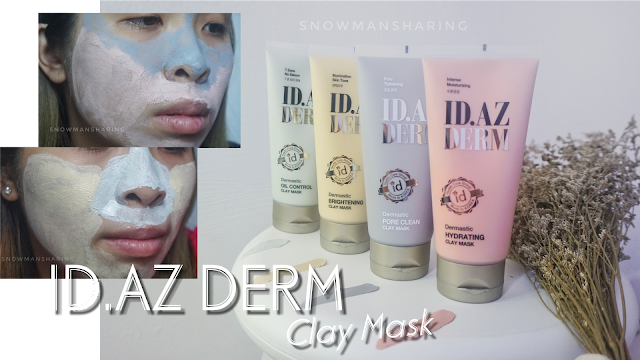 Finally sharing some in-depth review on my recent Clay Mask receive from ID.AZ Derm. It was my first time hearing and exploring their products. 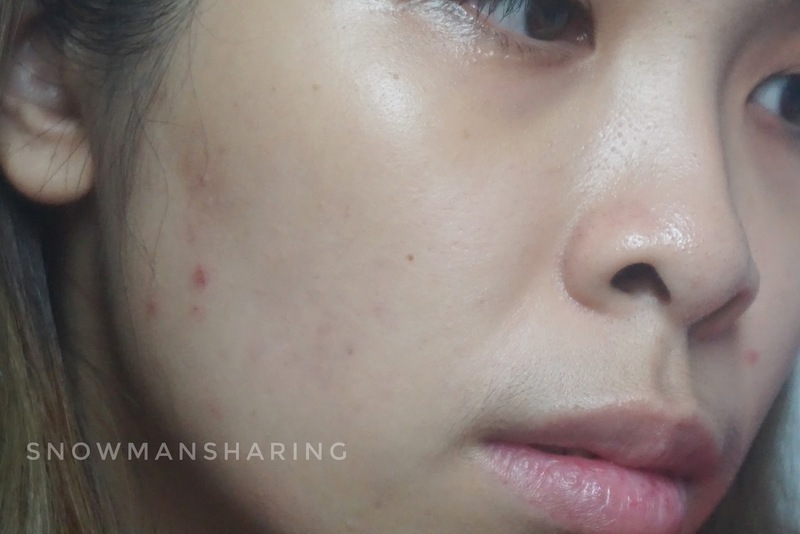 In this post, I will share my thoughts about their Clay Mask. With the concern of their patient who had to turn away due to their psychological burden after consultation, ID Hospital has decided to reach out to them. 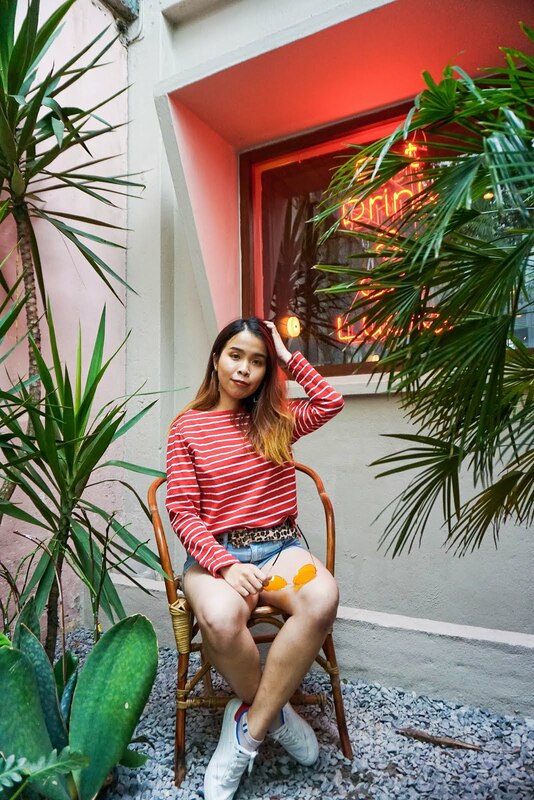 With their knowledge and skills about helping and solving a lot of concerns of people in regards to beauty, they decide to kick-start a new beauty field called "ID Placosmetic". Encompassing everything from A, the first letter in the alphabet to the last letter Z, that's how their brand ID.AZ form. Their concept of ID Cosmetic expects our skin achieve effects the of cosmetic procedure. In ID.AZ Dermastic they have a lot of diverse products that offer a range of functionality depending on our skin needs. For their home care facial mask, they have 2 types of mask, which is Clay Mask and Facial Fit Mask. In this post, I will only share and review about ID. AZ DERM Clay Mask. They have a total of 4 different types of Clay mask, from Pore Control to Brightening function. Comes in Pastel Pink color Packaging and Claims to keep skin hydrated and energized. Is a hydrating clay mask that helps soothes and keep our skin moisturized. Comes in Grey color packaging and Providing soothing effects for sensitive skin while deep cleaning pores, tightening pores and exfoliating skin. Comes in Pastel Yellow color Packaging and Claims to give brightening effects that make our skin feel more alive. It helps to vitalize and tone up your skin tone! Comes in Pastel Green color Packaging and Claims to balance skin oil for a fresh and healthy looking complexion. Balance skin anxieties and Clears sebum around T-zone area! The swatches of all their clay mask on my hand! The texture is so rich and easy to apply on skin. Each color represents the type of clay mask for different skin type. This clay mask does not carry any heavy scent while applying on face. 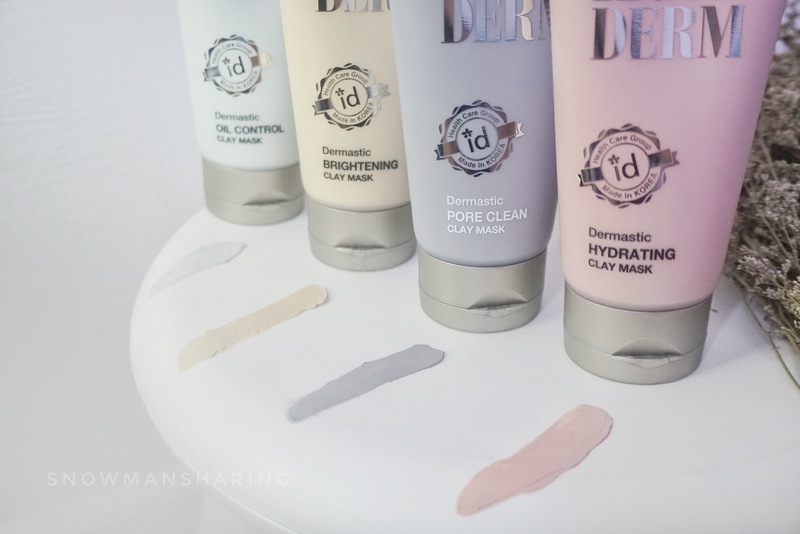 For the first two combo clay mask that I have tried are the Dermastic Pore Clean and Dermastic Hydrating type! 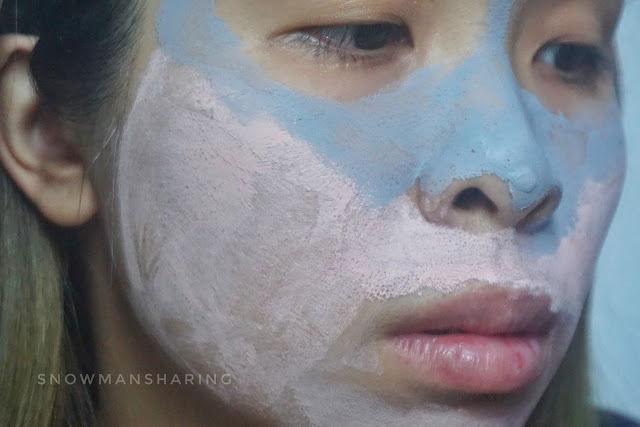 For the Hydrating Clay Mask, I apply to my cheeks area which is always dry! As usual for the Pore Clean Clay Mask, I only apply on the areas that have bigger pores, such as my nose and forehead areas. I would say that the clay mask applies so smoothly on my skin. It does not dry down too fast as well. I have enough time to even out the clay mask to all the area I need to apply. Waiting for around 5-10 minutes. Just make sure that the clay mask is not over drying because it may dry out your skin moisture even more. After 10 minutes, the mask dries up on the skin. It does not crack up but still sit nicely on the skin. After washing with warm water, I can feel my skin texture feel super smooth! 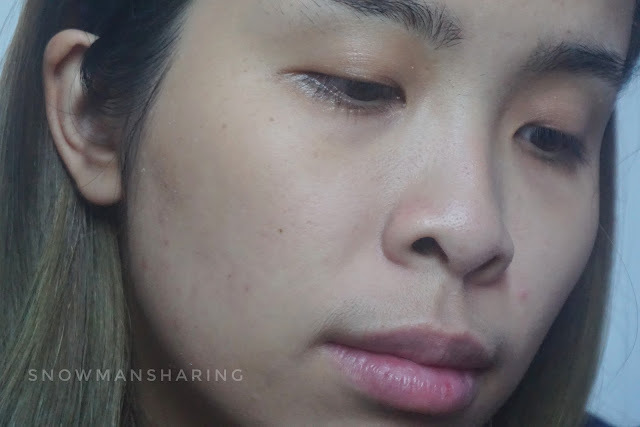 Those skin areas with big pores, the pores area feel more tighten too. Even my cheeks are feeling pretty supple too! My second try on the mask is the Oil Control Dermastic and Brightening Dermastic Clay Mask. Normally those areas that have big pores also much needed for oil control too! So I apply the Oil Control clay mask on my T-Zone area. As for the Brightening Clay Mask, I apply on my both cheeks which I always dark spots and some uneven skin tone too. I would very much like to tone up those areas! 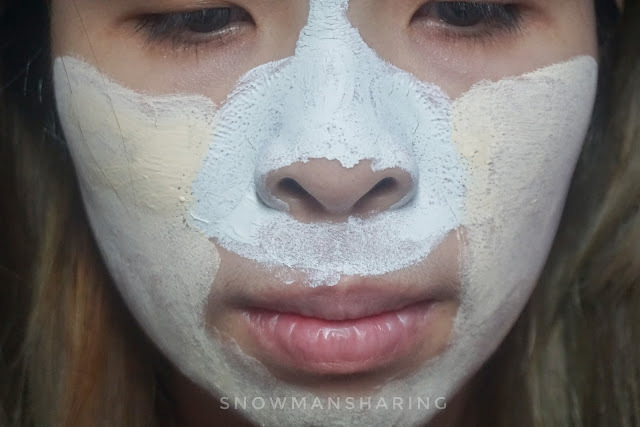 When I first apply the clay mask, there's cooling sensation and after 2-3 minutes I can feel that my face area starts to feel slight tightening too. This is how ID.AZ Cerm Clay Masks looks like after it dries down on my skin. You can actually build up a thicker texture on your skin. If you ask me how much thicker of the mask I should apply on the face, I would suggest that when you apply and see the clay mask has covered up your bare skin color it would be sufficient. OMG, I can see where my face oily sebum has actually CLEAR after I wash away the clay mask on my skin! 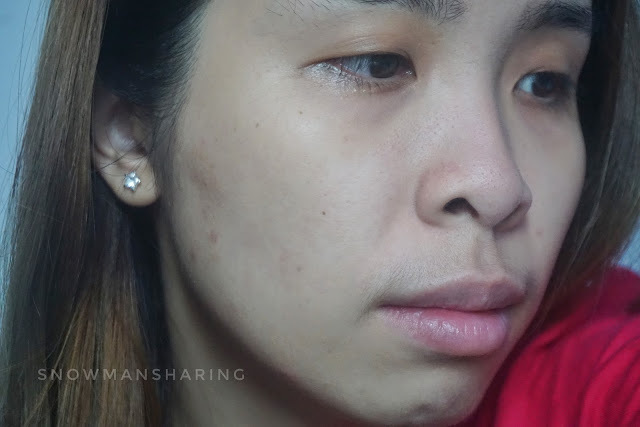 On the before picture above, I can't believe that my skin looks so oily around my T-Zone area. Visible acne mark on my cheek area too! But in the after picture, even my acne mark has been tone down too. 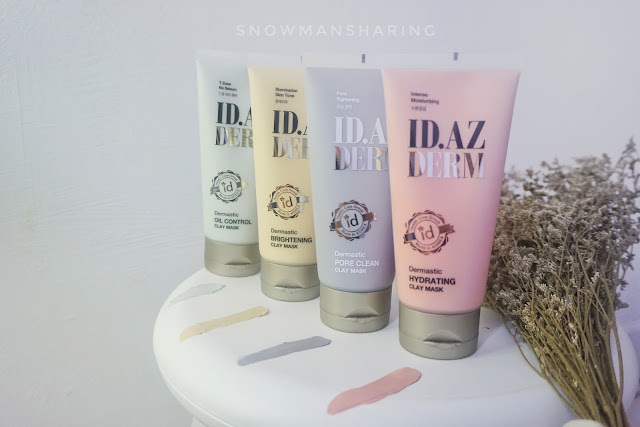 I really like to apply a clay mask to deep cleanse my skin pore and sebum, while ID.AZ Derm Clay Mask has more types of Clay Mask for Brightening and as well as Hydrating too! The after effects does not stay too, it is advisable to use their clay mask 2-3 times a week depends on what your skin needed! One thing I really like about this is their packaging because of it in a tube shape, unlike other brand clay mask packaging which is in cover packaging. Why? Because tube packaging is more hygiene and we can easily control the usage that we need too on our face. It was so easy to carry and use, because of its tube packaging. You totally have no worries of bringing it to wherever you want too! Convenient and Hygiene level is really good! 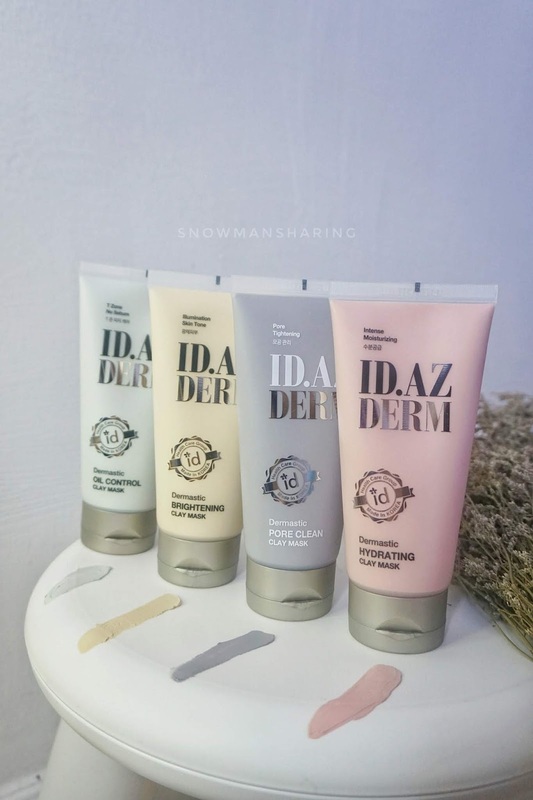 ID.AZ Dermastic is selling exclusively only at Watsons Malaysia! Thanks to The Butterfly Project and ID.AZ Dermastic for sending over for me to try. I guess I will never get tired to try clay mask because I like to leave my face clean and fresh! Wow..the result is fast! It really reduce acne mark on your face. Amazing..i might need survey this product too.. I really love this kind of mask. Its very suitable for me that have this kind of oily combination skin. Yes! So easy to use on the area that we need! 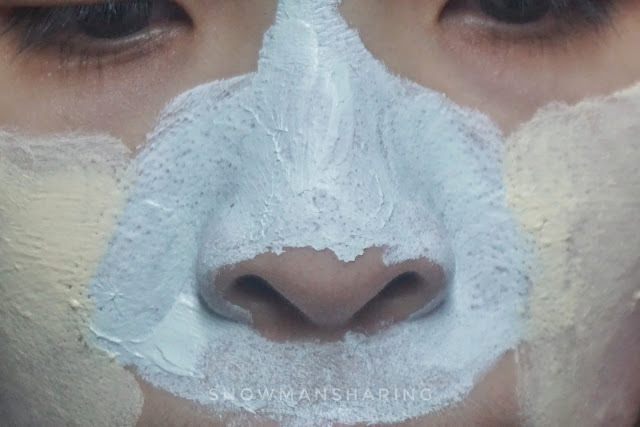 Nampak berkesan juga penggunaan clay mask ni kan?. Dah lama tak menggunakan mask ni. Nanti nak kena cari juga clay mask ni. Kalau dapat buat sebulan sekali atau 2 kali dalam sebulan pun dah ok rasanya. I prefer to do 2-3 times weekly! Uhh the packaging looking really cute! I’d definitely try the hydrating cause I am all about hydrating my skin now. But the deep clean and exfoliate seems great too! Cant wait to get them from Watsons! Menariknya... Specific for each problem. Tentu kesannya lebih ketara. Harga pun berpatutan. Can see a big different after you used the clay mask. I will get 1 to try it out too. The result is good and I want to try the mask too. Pores seem getting smaller. And the color of the clay mask look attractive. I have been eyeing this clay mask and already written it down on my shopping list. Just haven't found the time to shop because I have been ill. After reading your review only I realise the brilliant idea to mix two products each time, to different sections of the face. Never thought of this before. 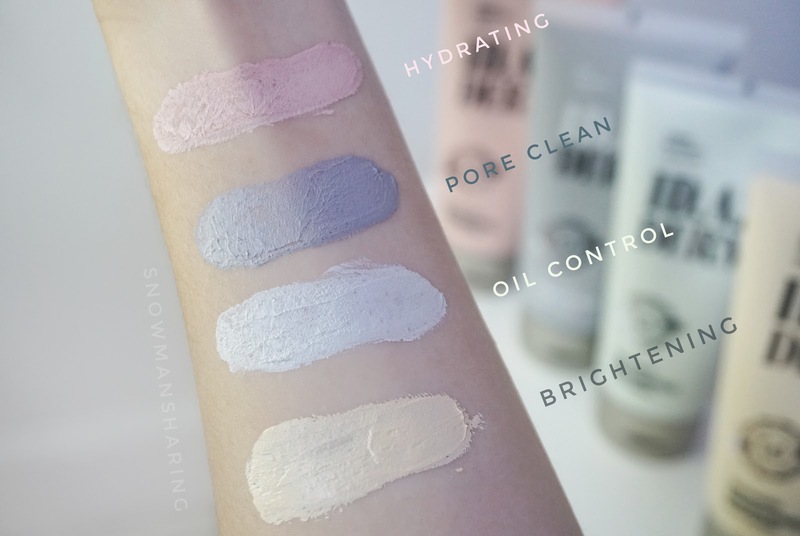 It was really fun to use base on different needs on your skin! Look like the musk is very easy to use, l like it so much, thank you for sharing. Ruby suka pakai mask. Sheet mask atau clay mask semua ON. Hehehe. Nanti nak cuba clay mask dari jenama ni. Macam best je. Yes super fresh and clean skin!